There are a number of fencing styles available in a variety of colors. They also come in different formats and designs. Consider what elements you like, which work best with your property, and how well they will achieve the look you want for your pool. You may also want to consider the safety of your guests, and choose styles with small or no gaps to prevent pets or small children slipping through to get to the water. 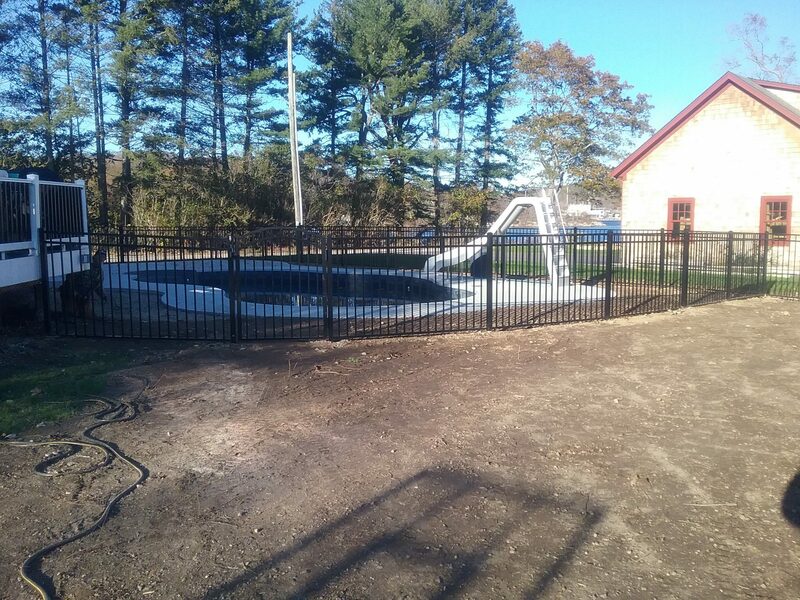 One important aspect of pool fencing is the height of the fence. You don’t want uninvited guests climbing it to make use of your pool. In most cases four feet is considered a good height to prevent unsupervised child access. However depending on your location you may want a higher fence for added privacy. It’s also a good idea to consider how the fence’s design may affect climb-ability if it’s something you’re worried about. Fencing can come in many styles. While this certainly can mean color and design, it also means considering the material used in construction. Wood, plastic, and metal can all be painted different color, however materials can react differently depending on climate. When choose your preferred style consider the materials that style is available in, and how they will fair at your pool’s location. When considering the right pool fencing for your needs think about the type of pool you have and who will be using it. Consider the height, spaces where people or pets could get through, and what style you most prefer. You may also want to take into account the climate of your pool’s location when determining the right material to use.